occasion his programs delve into other periods, such as the Baroque. 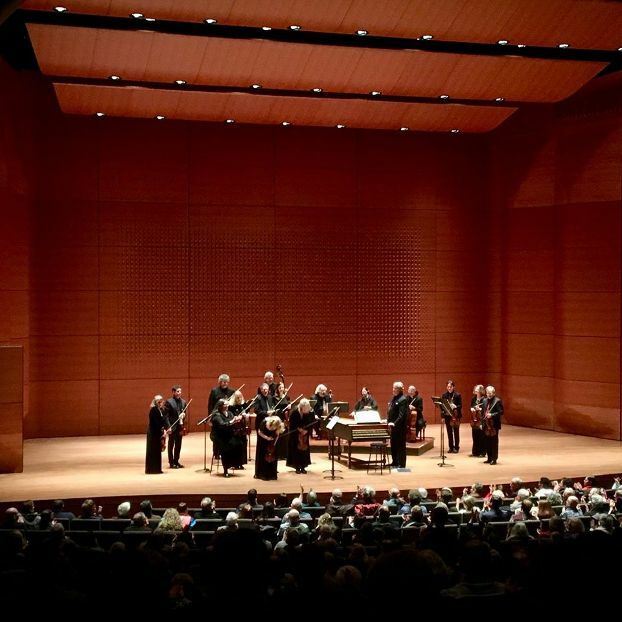 Early in February 2018, it was my privilege to perform in Lincoln Center as soloist in two concerti by J. S. Bach and a concerto by Antonio Vivaldi, and as one of three solo violinists in Bach’s beloved Brandenburg Concerto in G Major. Stay Thirsty Magazine has kindly asked me to write about the experience. The purpose of playing on instruments of a composer’s period is to attempt to recreate the sound world of that era; for example, today’s French horns have valves, modern pianos are startlingly louder and tonally more monochromatic than the early fortepianos, and flutes are now made from metal rather than wood. These technological differences – which largely came through increasing the ease of playing and projection of sound – also affect stylistic elements in the music. In general, concert music became more sustained and emotionally dramatic by about 1800, which coincides with the growing popularity of the fortepiano and the invention of the modern-style bow, which – among other effects – produces a stronger and more legato sound than the earlier types of bows. Like other cultural artifacts, music may be defined by several distinct eras: Medieval, Renaissance, Baroque, Classical, Romantic, and Contemporary. Forms of the violin – as in a stringed instrument played with a bow – appeared in China and Mongolia over a thousand years ago, and it is historically found in numerous diverse cultures. The violin used on today’s concert stages dates to about 1550 in Italy, which coincides with the eras of the illustrious makers Andrea Amati and, slightly later, Gasparo da Salò. 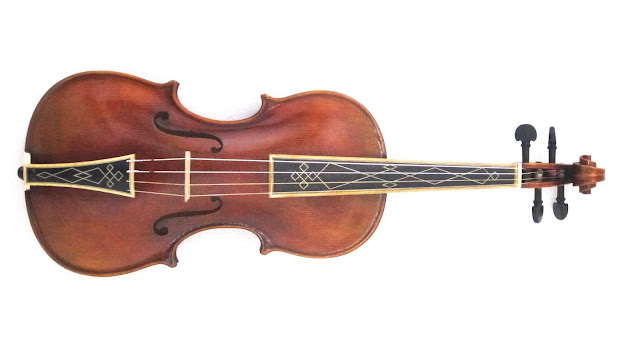 Although modifications were made to it from the Baroque through its current set up, these were fairly minor – mostly in the shape of the neck, the dimensions of the bassbar (a small wooden bar that aids the acoustic of the violin) inside, the stringing materials and the introduction, about 1822, of a chinrest to help stabilize the instrument while playing more virtuosic music. The bows, however, are remarkably different and there are many types of bows used for both the Baroque and Classical eras. For this concert, I wanted to try out a Baroque-style violin paired with an appropriate bow, and I managed to find an affordable copy, by an anonymous maker, of a Jacob Stainer violin. Stainer, who was born in 1617, was highly-regarded maker from present-day Austria. Although a new instrument, my copy is dimensionally well made with a pleasant varnish, but the bridge needed some reshaping and the soundpost (a small internal wooden dowel that helps to unite the vibrations of the violin) required replacement with one of a better-quality wood. A few weeks after I acquired the violin, I found a Baroque-style bow – also a recent copy – that suited it well, and I strung it with gut core and plain gut strings. A new instrument needs quite a lot of playing in, to encourage it to vibrate and respond at its best, and I embarked upon playing this violin as much as possible to improve its sound as well as become accustomed to its dimensions. The music of the Baroque era can be impassioned and very personal, and quite a lot of it is derived from dance forms. I have had the pleasure of performing Vivaldi’s Concerto for Four Violins a number of times over the years. Oddly enough, although in my teens and early 20’s I used to play Bach’s Double Violin Concerto (mostly with my mother), I had never been asked to perform his Concerto in A Minor, although I first learned it when I was about seven years old. Clearly, it was a priority to work on the Bach A Minor Concerto, because my playing skills are very different now! For a musician, to learn and understand the composer’s intentions is of utmost importance. One of the best things we can do in researching a work is to look for the autograph (the manuscript in the composer’s hand); second best are the earliest published editions, but these often contain mistakes due to the printing process. I found a great resource in the Bach digital collection online, where I located the source material for the Violin Concerto and scrutinized his articulations and dynamics. For a period performance, it is common for the concert pitch to be lower. Pitch standards – such as the current American standard of tuning to a = 440 cycles per second, and sometimes slightly higher – were historically regionalized. Although today’s Baroque players often use a = 415 cps, it is likely that historically there was little consensus and that pitch in some places may have been higher, rather than lower, than our present overall standard, which was established only in 1939. Overall, the effect of lower pitch is less tension produced by the strings, causing them to sound warmer although with reduced projection. The size of an orchestra is influenced by the instrumentation, of course, and these works require only a small number of stringed instruments plus continuo – in this case, a harpsichord played by Thomas Crawford. Occasionally he would give cues as a conductor, but for the most part we performed as chamber musicians; that is, giving our own internal cues and listening carefully to each other. Due to the nature of Baroque music and the stringed instruments’ bows, plus the articulation of the harpsichord, it is appropriate to play with a less sustained sound. In our music scores, what might seem like merely bowings are indications of phrasing, and it is imperative to distinguish between legato, or connected sounds, from those which are articulated or detached. More subtle, however, is the importance (especially in Bach’s music) of the music’s structure. Like the foundation of a house, the bass line provides the framework for the melodic line, and Bach is a master at harmonic (or chordal) development. Because we play a melodic instrument, violinists tend to think in a linear manner, but the vertical aspects of the music are at least as important. Tempo – or how fast the music moves – is vital, as is the relationship of the tempos of movements within a work. The metronome was perfected relatively late, when Beethoven was a mature composer, and it is helpful to consider how the music itself is flowing rather than the pulse of the meter. For example, Bach’s Sonata in A minor for violin solo has an Andante movement with a meter of ¾ (three beats per bar with the quarter note as the unit). An Andante is a walking tempo but, in this case, the eighth notes are providing the sense of walking; to play this movement with the quarter note as the basis for the tempo would make it much too fast. In all music, but especially Baroque and Classical, it is important to identify and characterize strong versus weak beats. A downbeat is typically a strong beat and the upbeat a lifted or weaker beat – again, harkening back to dance, in which a foot is lifted and then placed down. For these reasons, it was a revelation to revisit Bach’s A Minor Violin Concerto, whose opening movement is impassioned, with interjections by the orchestra’s upper strings and an almost combative relationship with the celli and bass. Its middle movement is a contemplative Adagio that gives the impression of an Andante, or someone walking in a stately manner. Especially in this movement, the affect is varied through some truly amazing harmonic progressions and the use of dissonance and consonance. The third movement has a galloping effect that is quick but controlled, and features one of Bach’s special effects, bariolage (from the French for “a mix of colors), in which alternating notes are played on different strings. founded the esteemed Ridge String Quartet. 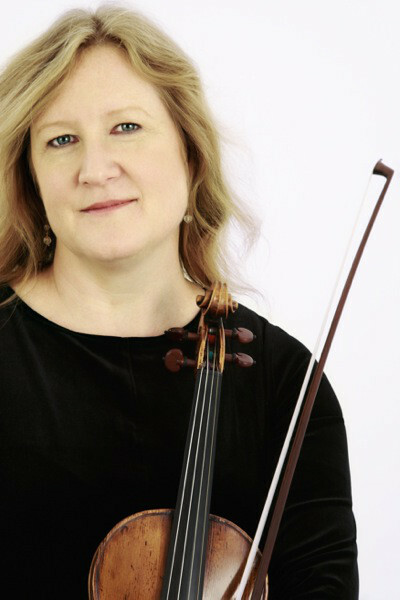 Since then she has held many other prestigious positions that include co-concertmaster of the Orchestra of St. Luke’s, artistic director and leader of the New Century Chamber Orchestra, concertmaster of the Mostly Mozart Festival orchestra, recordings in the solo and chamber music repertoire, and even jazz collaborations. 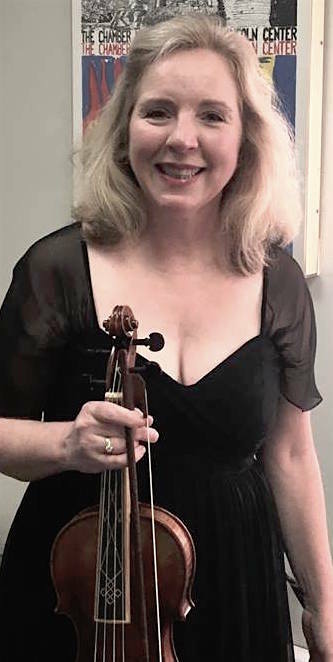 She has performed as soloist with many top orchestras, and as a researcher has uncovered numerous obscure music works from the 18th and 19th centuries, which she performs on period instruments. She is not only a gracious and thoughtful collaborator but also a great inspiration. Krista also led the Brandenburg Concerto in an elegant interpretation. Vivaldi’s Concerto for Four Violins is a work from his set of twelve concerti collectively called l’estro armonico (“the harmonic inspiration”), which were first published in 1711. It is likely that Vivaldi composed this for the girl musicians of the Ospedale della Pietà – essentially a convent, orphanage and music school in Venice that, through its concerts, eventually became a destination for both Venetians and tourists. Putting together a concerto with three other soloists can be a bit dicey because playing styles can often be diverse, but the context of a Baroque approach helped to unite us. This work is in the key of B Minor – a bit unusual for string music – but extremely satisfying to play for the contrasts of its moods, which through its three movements are noble, majestic, and fiery. Our first two rehearsals were in a very dry venue; although not rewarding to play in, it revealed any ensemble flaws quite readily. The third was in an acoustically-live setting, which principally exposed any potential danger zones in that it is more difficult for the players to hear clearly, especially some rhythmic elements. The concert itself was very well attended, and we received standing ovations throughout the program. Afterward, at the reception I was gratified to learn that the audience included a number of local college students who were attending their first classical music concert, and they were extremely enthusiastic. The audience is, of course, an integral part of the performing experience, and to have its focused attention is very gratifying. I leave my final comments for the musicians of the American Classical Orchestra, several of whom I have known for decades. Its longtime principal cellist, Myron Lutzke, is the Jerry Garcia of the classical music world in setting down a bass line (with the estimable double bassist John Feeney) that we all groove on, and he patiently guided my earliest forays into period instruments. The principal violist, David Miller, is another longtime colleague of great accomplishment and from whom I have learned a lot. The violinist Judson Griffin – another longtime member – is a fount of knowledge about music; the program included a work that he proposed by a now-obscure composer named Georg Muffat, which was delightful. 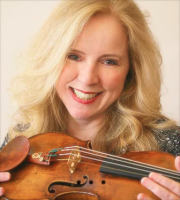 (In rehearsing the Bach Brandenburg, he asked Krista about how she wanted us to bow the “Phrygian cadence.”) My co-soloists in the Vivaldi – Krista Feeney, Theresa Salomon and Karen Dekker – did a beautiful job and were supportive collaborators. And, in addition to his remarkable achievements and devotion to music, I have decided that Thomas Crawford is probably the most imperturbable person I know. Among the many compelling things in playing a concert are that we musicians are producing the sounds ourselves (with no electronic enhancement), we are mutually cooperative and trusting, and we try to be fully “in the moment,” setting aside all everyday distractions. A musical work can be like a longtime friendship that evolves over time, and to perform the same music with different musicians brings about a rewarding experience that is unique.